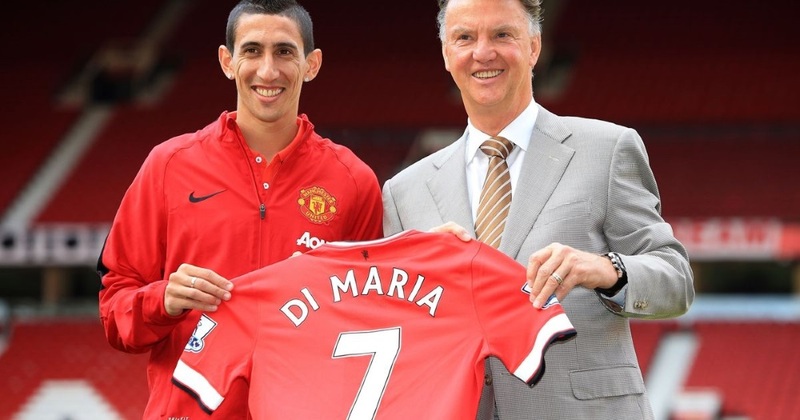 Could di Maria be the Guardian Angel that van Gaal needs? Thirteen really is the unlucky number for Manchester United as they find themselves midway down the Premier League table just a few weeks into the season. After a dismal opening game which saw the Red Devils losing 2-1 to Swansea City, Louis van Gaal’s 11 went on to cause further embarrassment by mustering a 1-1 draw against Sunderland. An embarrassing Carling Cup exit at the hands of MK Dons followed, and even a simple 4-0 rout of QPR was sandwiched between a dire 0-0 at Burnley and the shocking capitulation at Leicester. With winnable games ahead of them, now should be the time in which the Reds pick up points easily, but so far, van Gaal’s “new era” has failed to deliver. Critics and fans up and down the country have been attributing Manchester United’s so far lacklustre performance to one thing: lack of depth. When Louis van Gaal originally took the post earlier this summer, he promised to make “big changes” to the team, at one point even alluding to up to 10 players getting the chop. No such promises were kept, however, and initially, Marcos Rojo was the only new signing that van Gaal had managed to make as manager. The recent draw against Sunderland was telling of this: Manchester United’s midfield is considerably lacking without Michael Carrick and Ander Herrera. Chris Smalling’s injury also left the Red Devils with a back three of Tyler Blackett, Will Keane and Phil Jones. Louis van Gaal desperately needs some quality talent, and he needs it soon. Step forward, then, Ángel di María, the Argentine attacking midfielder who’s recently completed his signing to Old Trafford from Champions League winners Real Madrid. At just 26 years old, the star has broken the British record for a transfer fee, being signed for an eye-watering £59.7 million. It’s a huge gamble for van Gaal, who clearly wants to put all his eggs in one basket rather than signing multiple dependable, but more cost-effective midfielders. However, looking back at di María’s record with last year’s Champions League alone, it should be a worthy investment – the star scored the third and final goal which sent Real Madrid through to the final eight for the first time in seven years. Though van Gaal may have made some bad decisions, he’s already received support from Rooney, who scored the first goal for Manchester United this season. It’s a lot of pressure for di María, but with a Champions League title under his belt, he could just be the secret weapon that Manchester United need to get out of their rut.